and an eye to the latest new home construction techniques and materials that will produce the best possible homes at a price that is right for you. We understand how to create value, through unique home floor plans, inviting interiors, and energy efficient designs. Cliff McClure and Matt McClure have over 50 years combined experience in home construction and real estate related fields in the Des Moines area. We are at our home building sites daily and will work with you to guide you through the construction of your dream home. 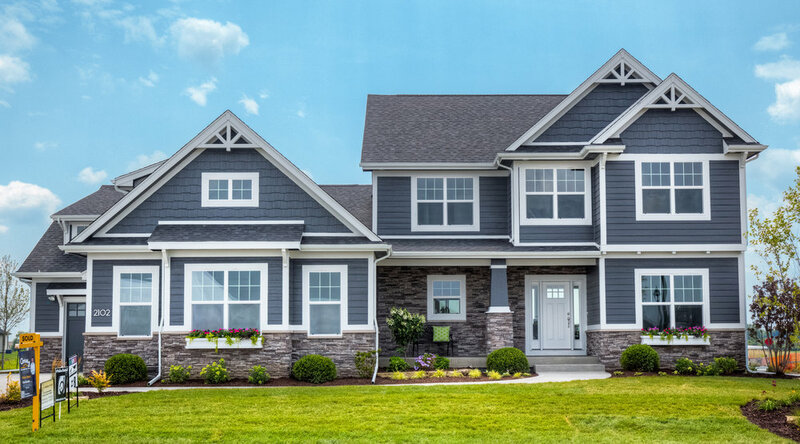 We believe great homes come from a thoughtful floor plan, combined with imagination and a belief that every new home and each family are important. Adel, Ankeny, Bondurant, Clive, Johnston, Norwalk, Pleasant Hill, St. Charles, Urbandale, Van Meter, Waukee, West Des Moines, and other central Iowa communities. We build homes in central Iowa's most coveted communities. We take pride in building homes with the latest new home construction technologies, materials and energy efficiency. Check out some photos of some recent homes we've created. "If you are looking for a company that is local, committed and talented, then Meadowbrook Builders is a great choice! They've built our dream home and WE ABSOLUTELY LOVE IT!! ".